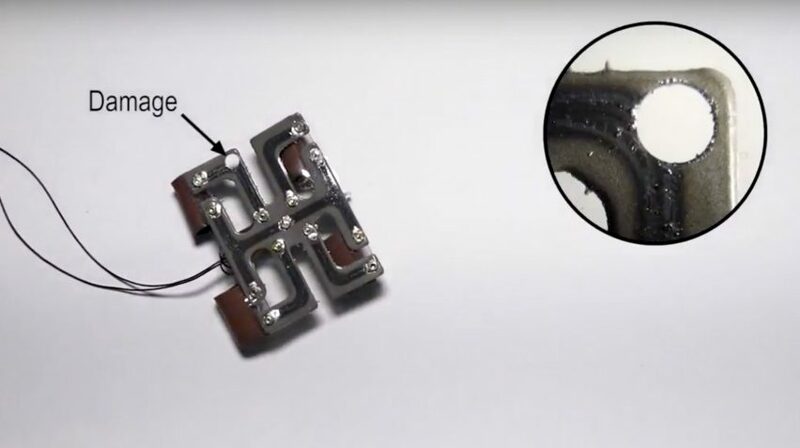 Researchers at US university Carnegie Mellon have created a new electrically conductive material that can repair itself, presenting new opportunities for soft robotics and wearable technology. 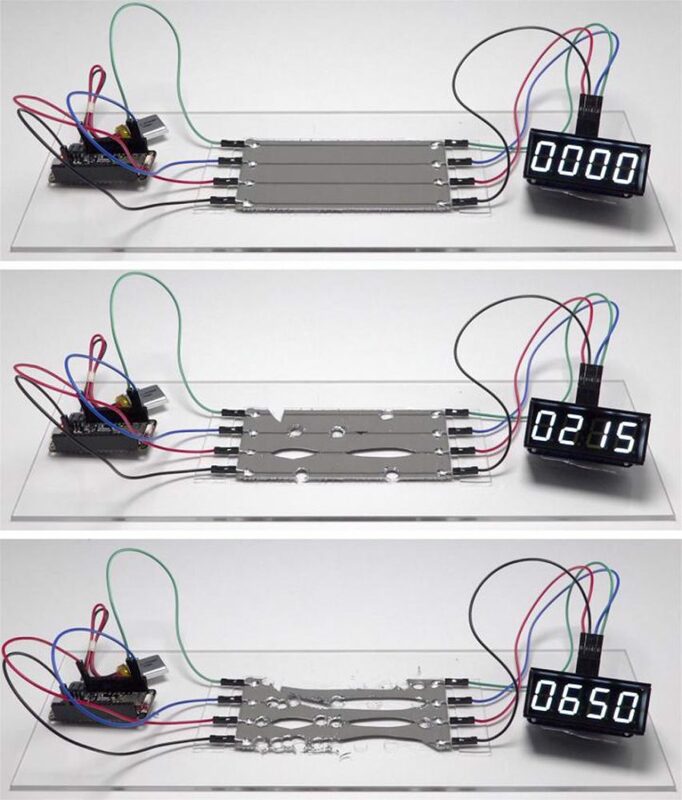 Combining properties of metal and plastic, the supple, stretchy material can be used to make circuits that stay operational even after sustaining physical damage. The discovery opens up the possibility that robots may one day have sensor-laden skin that can repair itself like a human’s, or that we could sport ultra-thin wearable devices on our bodies for long periods of time without them degrading. The currently nameless material is a composite made of liquid metal droplets suspended in an elastic polymer. In response to damage, these droplets make new connections with neighbouring droplets, rerouting electrical signals. 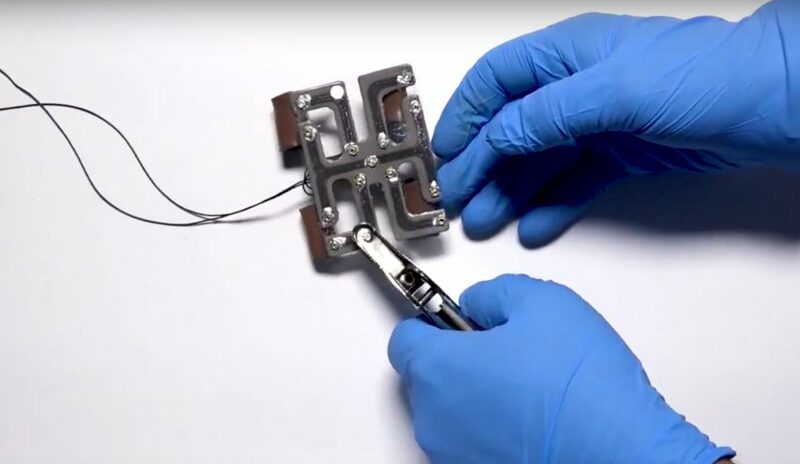 This means that a circuit made from the material stays operational after its been severed, punctured or had material removed — a feat the researchers demonstrated by making a clock radio and a small, crawling robot. The CMU researchers published their findings in the journal Nature Materials in May. They suggested further possible scenarios for the material could include first-responder robots that can perform rescues during emergencies, health-monitoring wearables for athletes in training and inflatable architecture that can withstand extreme conditions on Mars. While other engineers have produced soft materials with the ability to heal — like the University of Colorado Boulder’s e-skin — the CMU team believe theirs is the first example of an electrically conductive material that can do so. They are less concerned with creating robots that look healed as creating robots that are operationally healed. “The unprecedented level of functionality of our self-healing material can enable soft-matter electronics and machines to exhibit the extraordinary resilience of soft biological tissue and organisms,” said Majidi. Recent inventions that could potentially be enhanced with the addition of this kind of material include a soft robo-fish and smart temporary tattoos, both from MIT.